Season 6 finale. . HD Wallpaper and background images in the Walking Dead club tagged: photo glenn michonne abraham season 6 finale negan jeffrey dean morgan the walking dead. 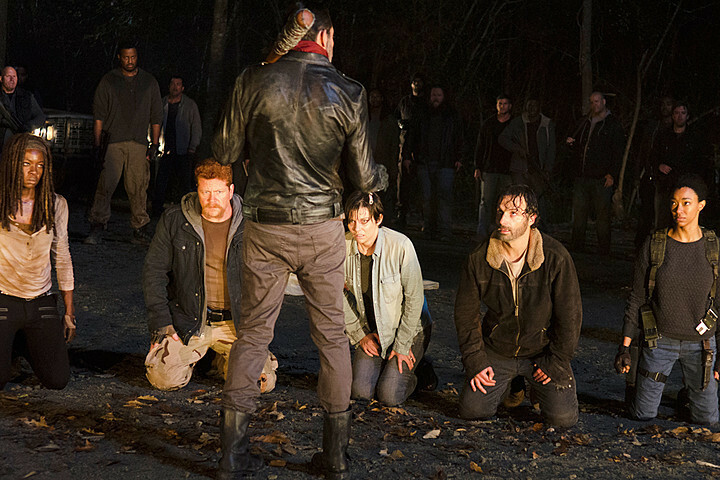 This Walking Dead photo contains costume d'affaires and costume d’affaires. There might also be bien habillé personne, costume, costume pantalon, tailleur-pantalon, pantalon costume, pantsuit, personne bien habillé, pantalon de costume, manteau de boîte, manteau du cocher, hip boot, and thigh boot.